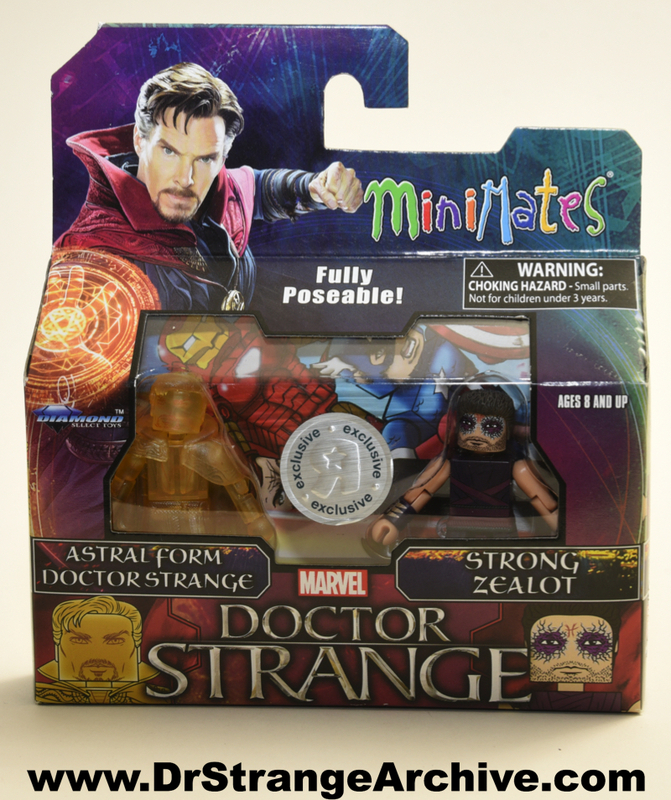 Description: This is the Toys R Us exclusive Doctor Strange MiniMates pack with the astral form of Doctor Strange and the Strong Zealot. This set came out for the Doctor Strange movie. The Doctor Strange figure is made from clear yellow plastic representing his astral form.